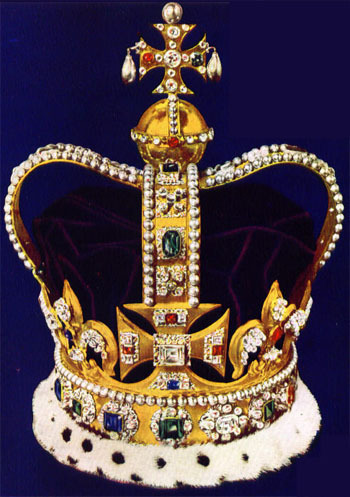 St. Edward's Crown. The coronating crown for every British monarch since Charles II with the exception of কুইন Victoria, it was considered to heavy for her. It has 444 gemstones on it including diamond, rubies, pearls, emeralds and sapphires.. Wallpaper and background images in the ইতিহাসের রাজা-রানী club tagged: st. edward's crown crowns crown jewels royalty monarchy england.